The mission of Better for You editorial is to provide solutions for the development and marketing of nutritional products such as functional foods, dietary supplements and other nutraceuticals. Subjects covered include business-challenging issues involving ingredient use, consumer trends, news, regulations, and science-based research. Prepared Foods’ First Person Q&A is an exclusive interview series involving food company R&D professionals, nutritionists, research chefs and other industry experts. Culinary, consumer & menu trends guide new food & beverage formulations for both foodservice and retail products. Company announcements, emerging food science & nutrition, consumer & foodservice trends & regulatory issues. New packaged consumer foods and beverages introduced to the marketplace highlight trends. 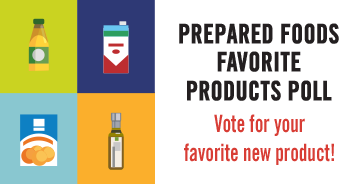 Be sure to vote for your favorite Product of the Day in our monthly Favorite Product poll! Consumer trends and new retail food & beverage launches guide new product formulations. News and product launches arranged by food and beverage category. The latest information on additives, ingredients and their impacts on texture, emulsion and other functional properties, arranged by ingredient type. Major trends impacting food formulators, from health and wellness, to weight management to allergens and ethic foods. 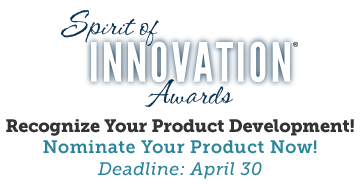 The newest consumer and market trends new product developers in the food and beverage industry need to know for 2019. The newest consumer and market trends new product developers in the food and beverage industry need to know for 2018. Prepared Foods' white papers provides visitors access to a growing list of original food & beverage industry Trend and Market Analysis Reports.